Service Costs > How Much Does Merry Maids Cost? How Much Does Merry Maids Cost? 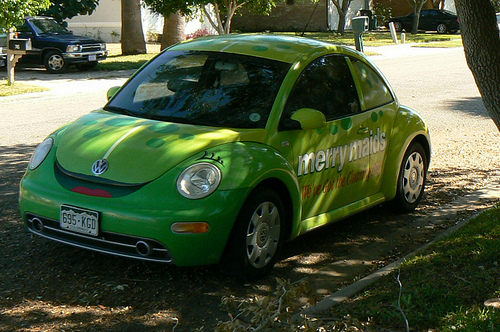 Merry Maids, founded in 1979, currently operates more than 1,300 franchises and corporate-owned locations within the United States. As the company continues to grow, their core values, as per the company, remain at heart as to what they do and who they are. Recognized nationally, the company offers satisfaction you can trust, only hiring screened and well-trained employees, a proprietary cleaning system, safe cleaning products and a service guarantee. The cost of Merry Maids, as with any professional cleaning service, will greatly depend on so many factors, including your geographical region, the number of rooms that need to be cleaned, the type of rooms that need to be cleaned, the square footage of your home, the number of pets inside of the home and if any additional services are required such as refrigerator cleanings, window washing, oven cleaning and carpet cleaning, to name a few. As per the company’s official FAQ, they do not offer packages; instead, the company will tailor their quote to your individual needs and home requirements. We were able to play around with the online calculator online and were able to come up with an estimate that we included in the table below if you wanted recurring service. However, if this is a first-time visit, then you will need to multiply these numbers by at least four for a deep cleaning session as this will require more work and the company will offer more inclusions as we note below. For each room that needs to be cleaned, add the total at the right to come up with an estimate for your home. What do you want cleaned? NOTE: This is just an estimate we received online and should only be used as such for follow-up visits only. For more information for exact pricing, we recommend you contact a local office directly for a quote and do keep in mind all jobs for first-time visits will have a price that’s four to five times the amount mentioned above. On this Yelp review for the Poway, California location, she mentioned that she was quoted $130 an hour, while another reviewer on this same page stated she paid $566 to clean an entire rental house, including the blinds, window tracks and the refrigerator. Your first and recurring visits – what’s included? On your first ever visit from Merry Maids, the company will detail all of the rooms inside of your home as per the order report and will also wash all cabinets, baseboards, doors, frames, doors and window sills. Aside from this, the company will dust all light fixtures, fans, blinds and furniture inside of the home. If you ordered any special house cleaning services, then this will be done at this time as well. If you opt for a recurring package, which can be weekly, every other week or monthly, then on these visits, the company will vacuum all carpets and furniture, wash floors, with the exception of the carpets and dust all light fixtures, fan blades, blinds and furniture. The company notes that if you’re not satisfied with your service, you can contact your local office within 24 hours to schedule another appointment at no charge. For a more in-depth report as to what the company will do during your visit, you can refer to the company’s official website “cleaning services” page. To know if a Merry Maids is in your area, visit the official locator tool. The company is noted to be very environmentally friendly, using SHINEFFECTIVE maintenance products, which are products known to be lower in volatile organic compounds and better for the environment. The company commonly offers discounts and coupons, so be sure to check out the official website before signing up if you choose the company as your option.